Vicki has been with us since September of 2013. 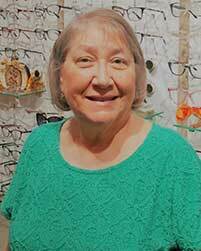 She began as a part time optician and now works as a Front Desk Coordinator. Vicki’s extensive experience working in various doctors offices over the years allows her to handle any situation that comes in the door, which makes her a valuable resource! Vicki’s caring personality puts our patients at ease as she insures all are receiving wonderful service.